In 2000, NYF launched a campaign to end the practice of Kamlari, a system of indentured servitude in which girls from desperately poor families are sold into domestic slavery. Since then we’ve rescued over 12,000 girls and returned them to their home communities. Now, an amazing transformation is happening. These former slave girls are becoming powerful young women who are leading the way to a better life for themselves and their communities. 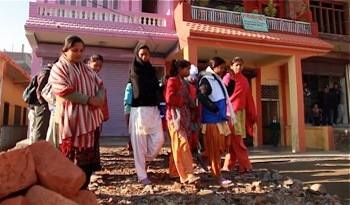 The Freed Kamlari Development Forum (FKDF) is a Nepalese nonprofit organization created and supported by NYF through our Empowering Freed Kamlaris program. 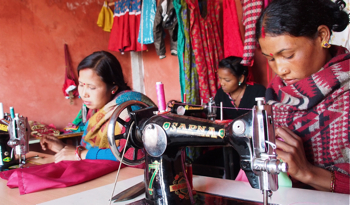 Founded in 2010 and headquartered in Nepalgunj, the FKDF now has five local chapters with 1,375 members working on a variety of projects in their home communities in Western Nepal. An estimated 250-400 girls are still trapped in Kamlari slavery. FKDF works in collaboration with local government officials and the police to locate and rescue the remaining Kamlaris. These final rescues are challenging, since most Kamlaris still being held are believed to be in the homes of prominent people in business and government. Every girl who was a Kamlari suffered traumatic loss and abuse during her childhood. With training and supervision from the staff of NYF’s Ankur Counseling Center, FKDF peer counselors provide emotional support for former Kamlaris, along with a referral service for those who need more help. There are now 50 FKDF peer counselors and five assistant counselors conducting 145 monthly support groups with 2,025 participants. FKDF members are supporting each other in building businesses — a key to stimulating the grass roots economic develop that will ensure the Kamlari practice can never take hold again. There are now 37 FKDF business co-ops with over 2,600 members. Many members have participated in NYF’s Vocational Education and Career Counseling program to learn specialized skills they now use in their own businesses. NYF provided $30,000 to start the co-op loan fund, which the FKDF administer, and more than 750 young women have successfully launched their own businesses with a co-op loan. To date, co-op members have already reinvested $40,000 back into the loan fund. 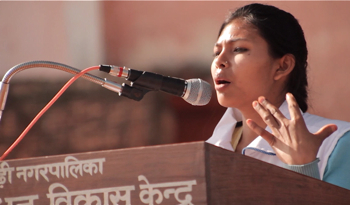 The FKDF champions the rights of children and women throughout their community. For example, FKDF members educate girls and their families that child marriage is against the law, and encourage girls to stay in school or vocational training. Street plays and interactive programs are used to raise awareness on themes like child labor, and the anti-kamlari activities are publicized through local FM radio. FKDF members speak out for the rights of former Kamlaris in public forums and in negotiations with government officials. A priority issue is the continuing problem of slow and inadequate payment of government scholarship grants owed to the former Kamlari. Learn about our new Empowering Freed Kamlaris program.